Last year, to commemorate Canada’s 150th birthday – and to lay a foundation for Canadian research excellence for the next 150 years – a group of scientists in our country embarked upon the Canada 150 Sequencing Initiative (CanSeq150). 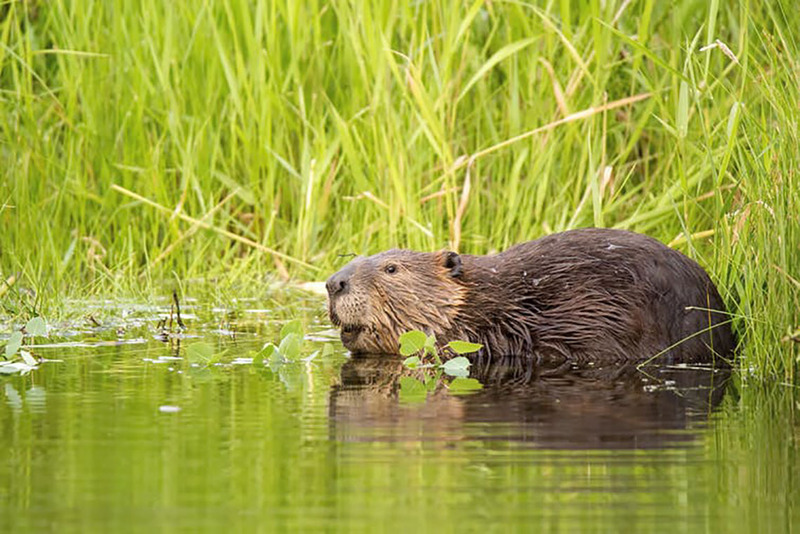 Motivated by our nation’s curiosity about the animal that most shaped our history, we sequenced the genome – the genetic instruction book – of the Canadian beaver (Castor canadensis) in time for Canada’s sesquicentennial. We’ve also begun sequencing 34 other species, including the Canada jay (Perisoreus canadensis) and the Canada lynx (Lynx canadensis). Our goal is to sequence the genomes of 150 organisms important to Canada – and Canadians. Some of these genomes will be sequenced in a way that allows us to develop and test new technologies or methods to analyze the genetic sequence. We also hope that by better understanding the genomes of other species – and our own – we can better understand ourselves and our place in natural history. A fascinating attribute of the Canada jay is its superior intelligence. It has developed a highly complex food-stockpiling strategy across widely scattered sites that keeps the bird alive through the winter breeding season. Each Canada jay can retrieve thousands of saliva-coated food caches each season by memory and pattern recognition – all hard-wired by its brain structure and encoded by its genome. By definition, genome sequencing provides far better coverage of a genome’s genetic markers than earlier technologies. We will be sequencing whales and trout, bear and sheep, maple trees and fungus, in order to discover genomic DNA bar codes – DNA markers covering all the cell’s chromosomes – that are important for selection and adaptation, and can be used in breeding and conservation. We believe that those same scientists can best harness the genome sequence information for our country – and for the world. With our “updated” (genome-based) view of Dobzhanksy’s evolutionary biology concept, we aspire to promote scientific discovery altruistically. Understanding the intersections among the CanSeq150 species – and others – will surely help us become wiser custodians of our heritage. Stephen W. Scherer, is the director of the McLaughlin Centre for Molecular Medicine at the University of Toronto.